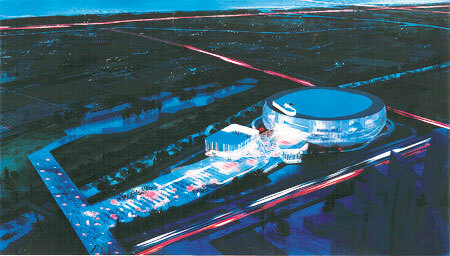 A rendering of the “K-pop Arena” to be built in Goyang by 2016. 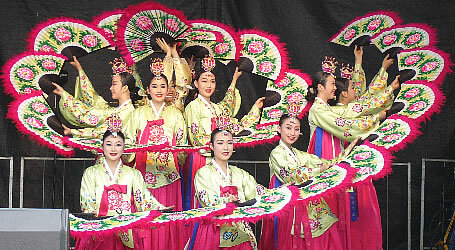 A performance venue dedicated to K-pop will be built in Goyang, Gyeonggi Province, northwest of Seoul. The Ministry of Culture, Sports and Tourism announced Friday that it selected the city to host the long-desired project for the Korean pop industry. The venue, tentatively dubbed “K-pop Arena” is expected to be completed in late 2016. Once finished, it will have a main concert hall capable of holding 18,000 and a second venue with about 2,000 seats. The ministry and Gyeonggi Province are expected to sign a memorandum of understanding sometime in March. The decision was made after the concept was proposed by the Korea Culture and Tourism Institute and reviewed by music and performing arts experts as well as academics regarding the size of the lot, accessibility, the environment and economic viability. K-pop is a booming industry with fans from around the world flying in to watch concerts, and K-pop stars spending months each year performing abroad. Industry insiders have long called for building such a performance venue for the further sustainable growth of K-pop and “hallyu” or the Korean wave.